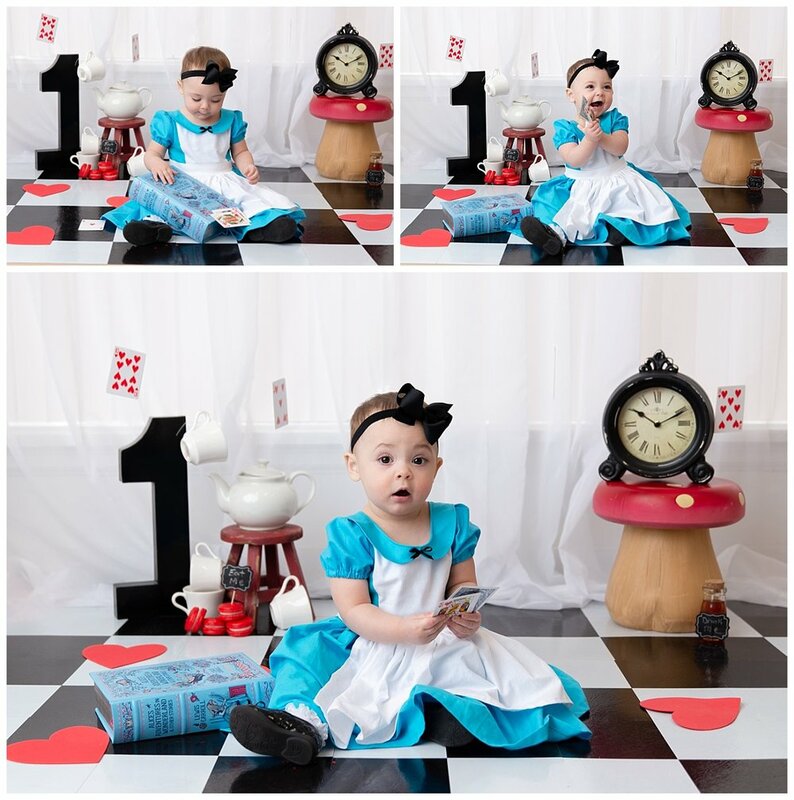 I love it when parents ask for an extra fun theme for a cake smash and this Alice in Wonderland session definitely helped me check one off my cake smash theme bucket list! I always work in a few different setups during each session to give my clients multiple options in their final images. And come on, how cute was this Mary Poppins dress! She had the most adorable Alice dress but we didn’t want to risk it getting ruined with icing so we did a few fun shots before we broke out the cake! Now I usually try not to do much in the way of adding elements to shots, but I couldn’t resist the urge to incorporate the Cheshire Cat to this one.. her pose just seemed to work with it. Then of course it was time for cake, and this little lady did not disappoint! I think she would have eaten all of the icing if we would have let her. And of course, all my cake smash sessions always include a cake from my talented partner cakes artists. Just tell me your theme and we will get to work making it happen.